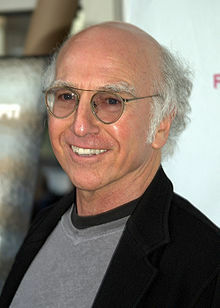 I loved Seinfeld and will still watch it from time to time but I really enjoy Curb Your Enthusiasm. It's edgier and I love that it's more or less ad lib. Do you have a preference for one over the other? That said, I wouldn't be disappointed with a return of Seinfeld. Loved both, both similar vibes but Seinfeld was just an absolute classic hands down! Seinfeld for sure, but lets face it Larry David and Curb Your Enthusiasm is also brilliant, but it is so cringy, what he does, I can only ever watch moast of the episodes once. Unlike Seinfeld. They cant be compared; both great shows. Seinfeld is a definite classic however. Curb wins hands down for me. No canned laughter required either. I love both. I will watch a rerun of Curb your Enthusiasm. Neither. However, if forced at gun-point to choose, Seinfeld is the better of the two horrible programs! Do you watch Sport live on the weekend? Can East Bound & Down keep coming back? Did you watch Mardi Gras on TV? Why do people love to hate female characters so much? Fargo - TV series - will you be watching? Why do you think Peppa Pig is so successful? Best occasion for a party?